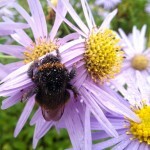 What can I plant in my garden to help honey bees? 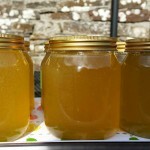 I wrote a post last year that looked at five ways we can help bees but since then I’ve taken beginners lessons in beekeeping. One of the lectures was about foraging and as a gardener I was curious what I could plant in my garden that bees would like to feast upon. As it transpires, we don’t need to plant that much as long as we have hedgerows nearby, we don’t spray the “weeds” with herbicides and we leave the bugs that naturally share the earth with us to do their own thing. 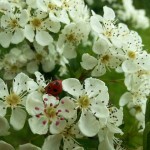 Whilst we can certainly make life easier for honey bees by planting some tasty delights, it seems that bees enjoy foraging among the prolific blooms in the hedgerows as much as they do the more formal, floral arrangements in our gardens. Ever since a colony of honey bees set up home in a hive in our garden (you can read about it here) I’ve been intrigued by what the bees were doing in there, have noticed how much brighter and more prolific the fruit and flowers in the garden have been and how the garden somehow feels more alive and vibrant with them buzzing around. We left the bees to do their own thing last year, allowing them to settle into their new home, with occasional visits from our neighbour to check on them. 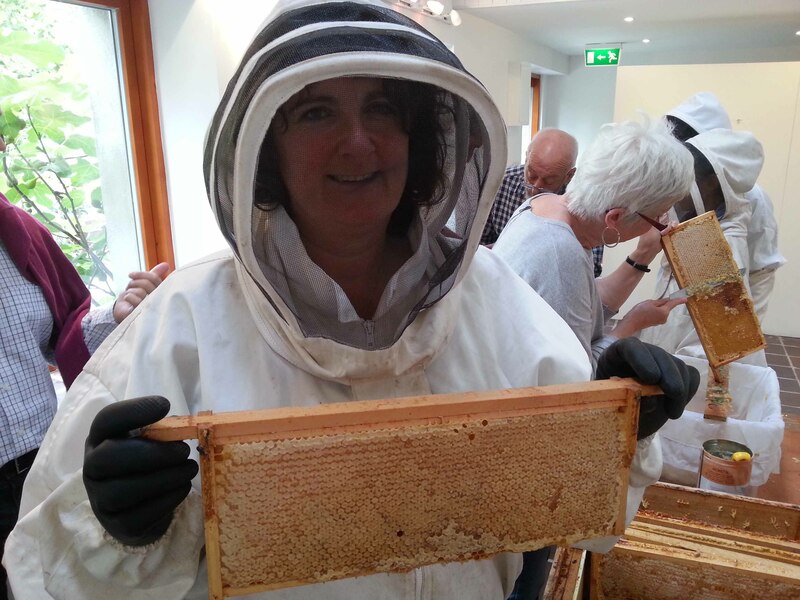 It wasn’t until I joined the South Kildare Beekeepers for their excellent Beginners Beekeeping course, that my obsession really began to kick in. Honey bees are simply fascinating. I’m learning the more traditional form of beekeeping in the beginners course, where bees are checked, manipulated and their honey harvested. However, I’m very attracted to the idea a more natural approach and have been advised to read the Barefoot Beekeeper as well as this PDF from Abbé Warré. For now I’m learning all I can from the experienced beekeepers in Athy, with the intention of switching over once I understand more about bees. A colony of bees is known as a super organism and there are three “castes” of bees in it. The queen really does rule the hive as apart from laying all the eggs, she sends out happy pheromones to help keep the colony chilled out and busy. The worker bees that we’re used to seeing outside foraging for all the nectar and pollen, are all infertile females. 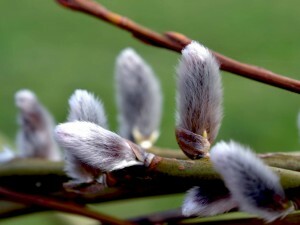 They contain a barbed sting but if they use it, they will usually die (so it’s not in their interest to do so). The drones are all male and it’s their job to mate with the queen. They don’t contain a sting. The maiden queen flies out once for mating, will do so with around 20 or so drones who will subsequently die after successfully mating with her. The queen will return to the hive with enough sperm to fertilise her eggs for the rest of her lifetime (could be up to 3 or 4 years). There are around 2,000 worker bees in a beehive during the winter, up to 50,000 in summer (so steer clear if you’re allergic or phobic). 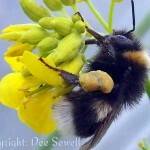 Honey bees have 4 eyes, 5 eyes and 6 legs (a handy one to know for pub quiz questions). Before scrolling down to see what plants bees like to forage on, take a look at this fascinating short video clip. You’ll be able to watch the honey bees close up in flight and pick up a few more facts about them that might be of interest. “Apis Mellifera: Honey Bee” a high-speed short from Michael N Sutton / @MNS1974 on Vimeo. 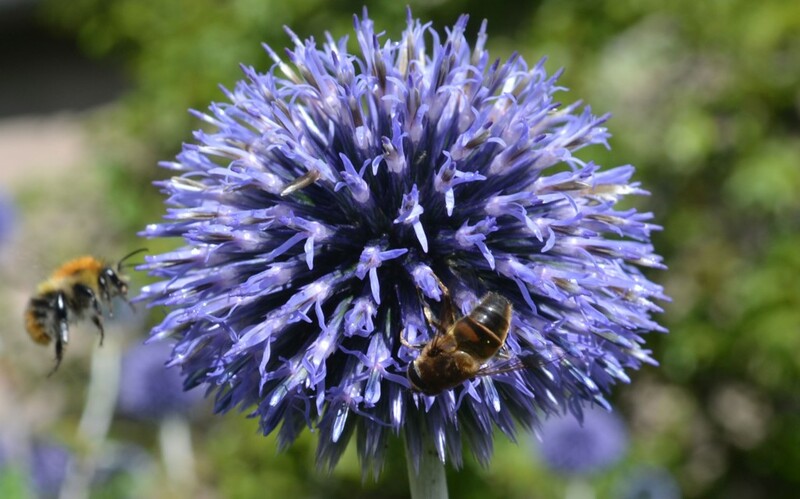 As mentioned at the beginning of this article, one of the important lessons I’ve learnt is that bees don’t just depend upon the flowers in our gardens for their sources of pollen and nectar, they forage as much from the trees and hedgerows that surround us. 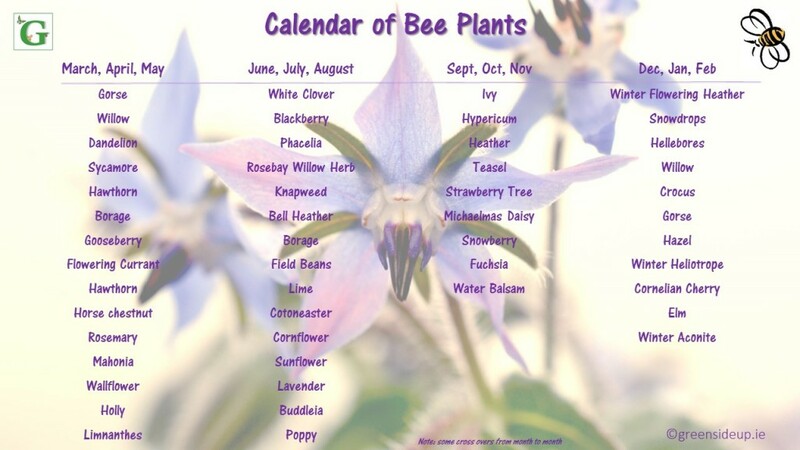 The list of plants for bees isn’t exhaustive, there are many more flowers that honey bees are attracted to but it is indicative that honey bees and pollinators in general don’t give a hoot if they’re feeding on “weeds”, trees or ornamental flowers – they are attracted to them all (steer clear of ‘double’ blossoms though as they struggle to reach the pollen inside them). 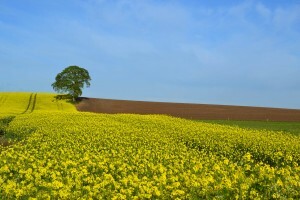 When hedgerows are cut out of season (it’s illegal to cut them between 1st March to 31st August), bees are being deprived of food sources and birds of nesting opportunities. 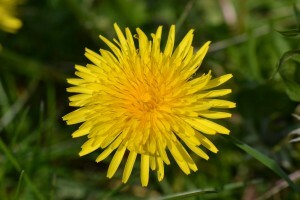 Next time you reach for the weedkiller because a few dandelions are growing where you don’t want them to, think of the bright yellow flowers as a source of food instead, for the bee that’s stopped off to feed from it. 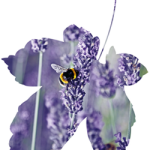 Bees and pollinators will be emerging from their hives and nests after a long winter with little food in store and depend upon fresh, unpolluted “weeds” to survive, not herbicide ridden ones. Is it really worth risking the death of bees because you don’t like sharing your garden with bugs? Research by Harvard University has shown that when honey bees have been exposed to two neonicotinoids, insecticides that are the most widely used in the world, they are more likely to suffer from Colony Collapse Disorder. Here’s a link to a Soil Association list that names some of the products you may have lurking on your shelves. If you’re interested in learning more about bees, their lifestyles and habitats, check out your local beekeepers for updates on meetings. 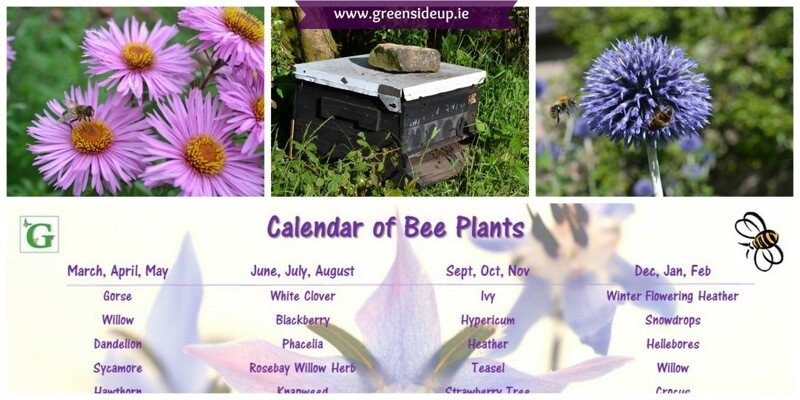 For more detailed information about planting for bees, take a look at the Irish Beekeepers website here. If you’re interesting in finding out more about Ireland’s bees, the Biodiversity Centre recently published their slides following their pollinator conference and they’re well worth a look. Lastly, if you’re buying plants for your garden this Spring, spare a thought for the honey bees who spend their short lives foraging in it. Apart from producing a few milligrams of honey during their brief lifetimes, without them we wouldn’t be able to sample so many tasty foods. A tremendous amount of fruit and vegetables would be missing from the supermarket shelves without the bees pollinating abilities including apples, squash, cucumber, raspberry, peppers, plums, Brassica, almonds and strawberries to name but a few. 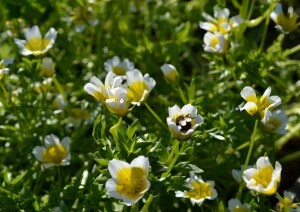 I really hope my garden is bee friendly – I’m not over strict on weeding and use no chemicals at all. Lovey article. It sounds like it might be then Christine 🙂 and thank you. Here’s to a bee friendly future. Lovely post Dee. 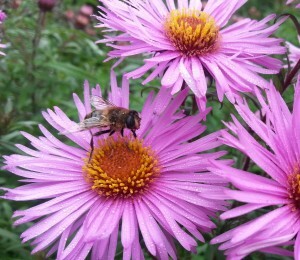 I do love the humming of bees in the garden although I have to admit I’d be squirming re opening a beehive. I’ll be a lot happier opening it once I’ve done it a couple of times with mentors! I don’t mind once I have my suit on and they’ve left us alone so far. Here is a practical low maintenance idea to help bees which I have been doing myself now for a number of years Cut the grass around the edges only of your rear garden . Don’t cut the grass at the centre up to about July ( in Ireland) . The “wild” area in the centre will then grow into a meadow which is natural looking and beautiful up to July ( in Ireland) when the grass starts to die- cut it then . . Plants will grow and flower in the meadow area during the spring and early summer which will attract insects and bees . It is lovely to see them feeding in May and June from your kitchen window . 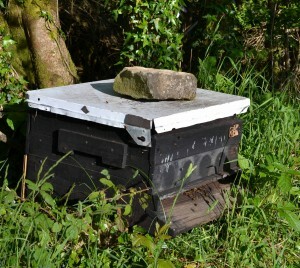 I think if this initiative was adopted across Ireland and indeed the world it would be a great help to bees . By the way the insects also attract birds . So this is an excellent way to attract birds as well to your garden . The other advantage is it cuts down on the amount of grass you have to cut and visually it looks great to have a contrast of a neat cut area around the edge and a wild area in the centre . I highly recommend it . Thanks for sharing such good advice Eamonn, that really helpful.